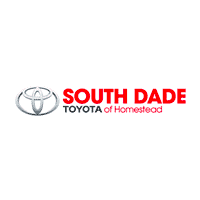 South Dade Toyota isn’t just a place to buy your next car, it’s a place where we help you take care of your car. Making sure your car undergoes regular maintenance is vital to maintaining its safety and high-performance over an extended period of time. Using the Toyota Avalon Hybrid maintenance schedule, we let you know when your car needs servicing and we make sure the job gets done right. The Toyota Avalon Hybrid service intervals come at 5,000, 15,000, and 30,000 miles, and are a key part of keeping your car in peak driving shape and making sure your warranty remains intact. It doesn’t matter if you drive your car a little or drive your car a lot, keeping up to date with the Toyota Avalon Hybrid Service schedule ensures your car receives regular oil changes, fluid checks, visual inspections, and other types of routine maintenance. It’s also best to leave these tasks in the hands of our factory-trained technicians who make it their duty to take good care of your car. By following through on the recommended Toyota Avalon Hybrid maintenance schedule, you will keep your car in excellent running condition, avoid costly repairs down the line, and improve your car’s resale value. Most importantly, you’ll have peace of mind that the vehicle you bought from South Dade Toyota will be safe and reliable for many years to come.